DatapointLabs Technical Center for Materials will be participating at the upcoming CADFEM ANSYS Simulation Conference, November 15-17, 2017, in Koblenz, Germany. Look for us in the exhibit hall if you are attending, or contact us to set up an appointment to meet with one of our representatives there. If you missed our presentations at recent technical conferences, they are always available for reference on Knowmats.com, a curated information resource specific to "Materials in Simulation." 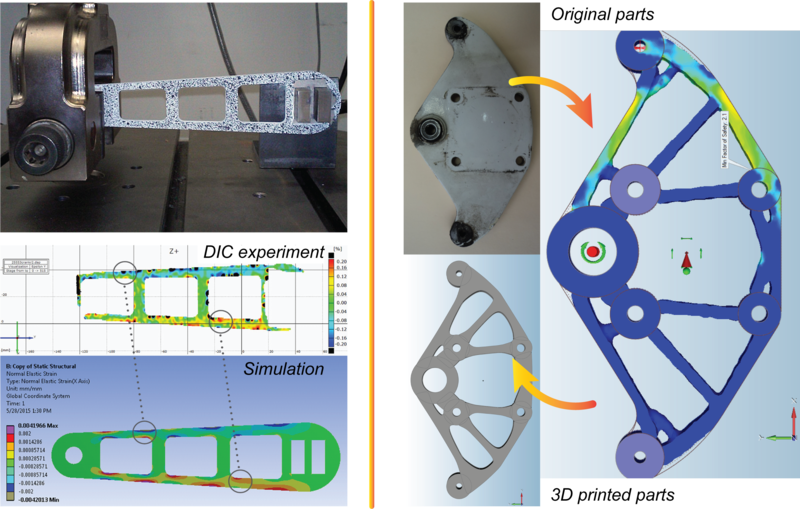 The Role of Material Data in the Simulation of Injection Molded Parts, by Hubert Lobo and Brian Croop; presented by Douglas McMullen at the SPE IMTECH 2017 Conference; Oak Brook, IL USA; August 1-3, 2017. Validation of Simulation, presented by Hubert Lobo at the TechNet Alliance Fall Meeting; Bilbao, Spain; October 6-7, 2017. CAETestBench Validation of Simulation now is available as a service offered by DatapointLabs, often as an accompaniment to its TestPaks®, which provide material testing and parameter conversion for CAE and FEA simulations. For material suppliers, consultants, or anyone who needs to support more than one CAE/FEA software package on a regular basis, DatapointLabs offers Universal TestPaks, which include material testing, data fitting, and CAE material files for all supported softwares for a given simulation purpose. These Universal TestPaks offer significant savings over ordering tests individually for each software package. Universal Crash TestPaks allow CAE material files for LS-DYNA, Abaqus, and PAM-CRASH to be created from a single set of tests. Material cards for ANSYS and RADIOSS can also be provided upon request. Universal Molding TestPaks allow CAE material files for Moldflow, Moldex3D, and Simpoe-Mold to be created from a single set of tests. Material cards for SIGMASOFT are also provided. Universal Structural TestPaks allow CAE material files for Abaqus, ANSYS, NASTRAN, and SOLIDWORKS to be created from a single set of tests. The next Matereality release, planned as version 11.3, will address a variety of customer requested enhancements, notably to the Analyzer module. The Analyzer module provides automated data analysis across multiple datasets. The new release will make it easier to compare datasets stored anywhere on Matereality, not just those stored in your Properties library.